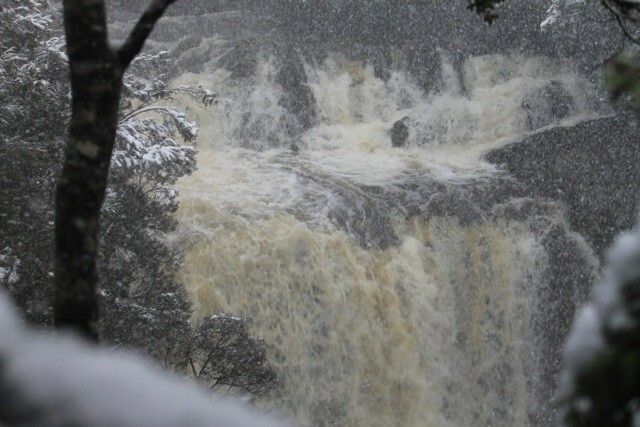 Tasmanian Photography Art Prints Here. To me, travelling with the family is always the “adventure”. Perhaps because it is a shared experience, usually talked about afterwards for years (sometimes decades) to come. I’ve done both, travelling in Europe and Asia as a child with my parents and 3 siblings, and then as a young adult travelling on my own. I think I rather prefer the company; it’s a bit more unpredictable and fun. You just never knew when my dad saw an ominous signpost and thought he’d head down the road less travelled. Now not one special occasion comes around when we relive a time when we annoyed each other or had a great time out on the road. Remembering that time all 4 of us squished into the back seat of a sedan and travelled around Galway through the barren landscape of Connemara while nearly killing each other is now looked back on fondly, although I am sure that week long trip in Galway would have sent my brave parents stress levels through the roof! We travelled the whole of Ireland in that car, for 3 months, on and off! These days I am older and have two boys of my own. I’m happy that I am able to share my love of travelling with them and show them what its like to visit places and understand different cultures, as my parents did with us. 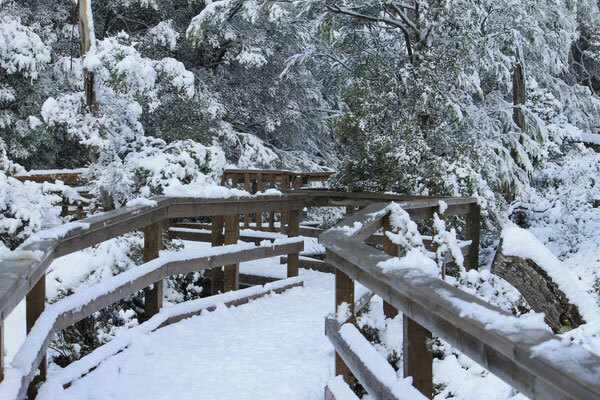 Last winter we were lucky enough to score some free flights to beautiful Tasmania, Australia. Two 6-day accommodation itineraries were presented for a driving holiday around the little, most southerly state. One was really for the most tourist-ridden locations, mainly driving down just the East coast where the most attractions lie, the other took us all the way around Tasmania, Hobart to the west coast, through the north and back down the east coast to Hobart. Being the explorer I guess I am, and so heavily influenced by the road less travelled, thanks dad, we chose the wordy one, even with my two pint sized travellers in tow. 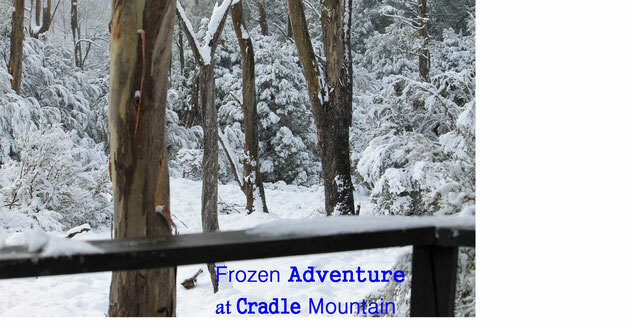 One night of the trip was earmarked for “Cradle Mountain”. I’d never heard of it and did no research on it at all before I left, but its name alone sounded magical to me. It wasn’t the best time to look for a Visitor Info Centre, in fact the whole way through the west wilderness as many of you will know who have been that way, its forestry, lots of road, lots of rain and very little else to see. Humorless “Information Centre” signs listed on the road were little under covered maps that showed you were, probably so those that were a little lost could figure out where they were going, it didn’t give any insight to the coming attractions! During the 4-hour trip, we decidedly stopped here and there when we’d hit the rare lodge, café or petrol station and we began to find out from the locals what Cradle Mountain had in store for us. It was pretty chilly, I prefer the snow to the rain, it would be fun, I thought. Well in fact Cradle Mountain and Lake St Clair is Tasmania’s most visited national park in the heart of the 1.4 million hectare Tasmania Wilderness World Heritage Area. It’s a beautiful alpine landscape of rugged peaks, deep gorges, tall forests, glacial lakes and (when its not snowing), windy moors. It’s also a beautiful place to visit in the warmer weather for its magnificent wildflowers and animals. Tasmanian Aborigines visited the area for more than 35,000 years, including during the last ice age. I was beginning to see what that would like from my car window. The further we headed up the mountains, the rain became less and it had started to snow all right, just a little at first, and then it was thickening up. The boys were starting to sing that song from that Disney picture we all love. We made it to the Cradle Mountain resort and Visitor Centre before there was too much snow. To our delight, it was a huge Visitor Centre, with adjoining café and gear shop, bigger than any building we had seen all day. They ran a shuttle bus into the national park to minimize the traffic on the road to Dove Lake, another pretty name! In fact in Cradle Mountain, everything has a pretty name, Dove Lake, Cradle Valley and the Enchanted Walk all sounded amazing to me. 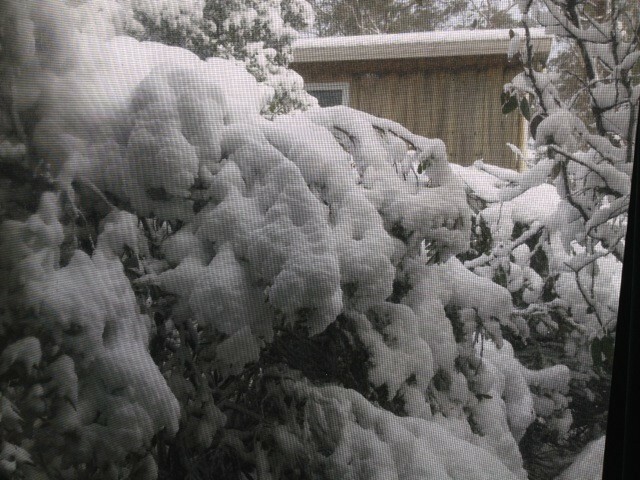 By this time there had been 2 inches of snow, it was quite a bit more than a sprinkling! As a result all shuttle buses were ferrying in sightseers exclusively and all entries were free, as weather didn’t permit you to go the whole way into the park, just to the enchanted walk and museum area. For us, that suited us well, with the boys it was probably as far as their legs would have carried them anyway. It kept on snowing, and it was the boy’s first visit to the snow! We sang songs (from that Disney movie yet again), with all the friendly parks staff, took lots of pictures, visited the detailed museum, sat around a gorgeous round chalet style fire and felt the powdery snow crunch underfoot. Majority of the visitors it seemed were locals who had taken the day off when they heard of the snow to come up for some hot chocolate and a wander. Quite a few couples and families in were in the mix. 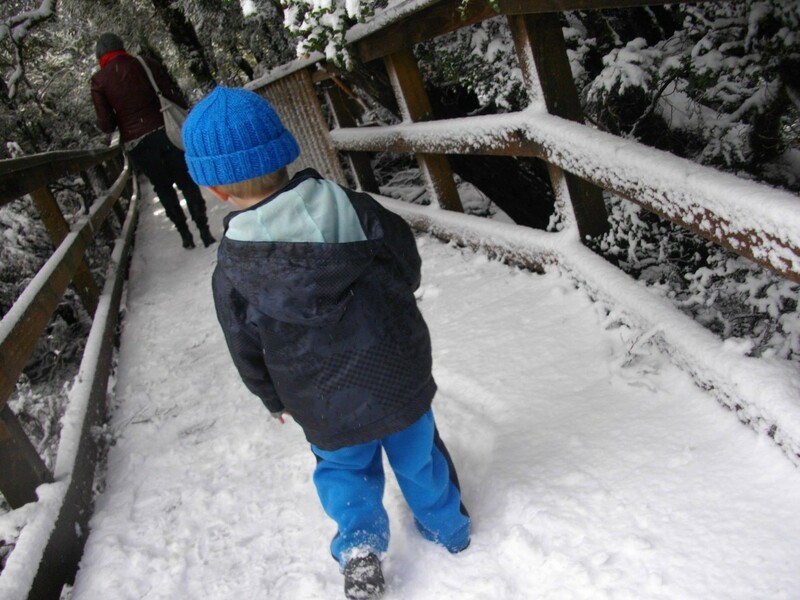 It was magical, the enchanted walk, a snow covered board walk that led down to the “Pencil Pine Falls” through rainforest, which was a very glamorous wide waterfall that looked amazing with snow falling on it. It was a little bizarre to see rainforest ferns covered in snow. The walk also led down the Cradle Mountain Lodge. Like something you would truly see in the Swiss Alps, with authentic timber features, such as medieval style timber beams and huge round fireplaces. The food in the lodge was ideal for families and very affordable. Steaks were delicious with local beers and ciders after a long afternoon trudging around in the snow! But it was the short car ride back to our cabin after that proved the most adventurous, with even more snow having come down, we couldn’t make it back through the entrance of our accommodation. Instead we had to park at the Visitor Centre and trudge up the hill in heavy snow for 5 minutes to get back. Wind and snow stinging our faces and just trying to make out where we were was an adventure in itself. Holding on to my 2 year old with his head tucked into my coat as it snowed down on us! 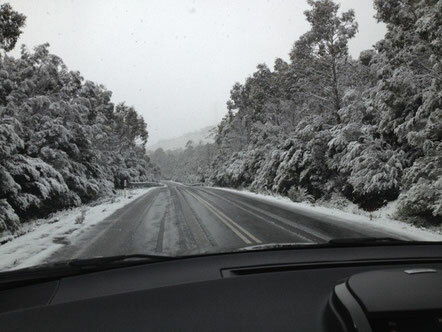 The “sprinkling” of snow turned out to be around a good 4 inches, our shuttle bus tour guide, who had lived in the area for 30 years, told us it was uncommon to get this much snow, as we were not that high up at Cradle Mountain. He’d seen “sprinkles of snow” here and there, and even on St Stephens (Boxing) Day one year they had had snow, but rarely he’d seen the likes of this. I think the snow made it, and I now probably couldn’t imagine walking the “Enchanted Walk” without the white wonderland that surrounded us. It’s now a beautiful memory that will never leave us. First published 4th April 2015.